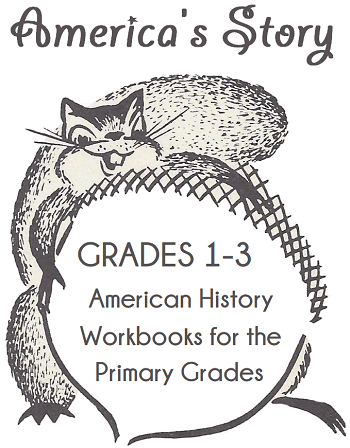 These primary (grades 1-3) Social Studies/American History workbooks are arranged in chronological order. They each contain a content-rich informational text, interspersed with various educational activities. These workbooks, designed for students in grades one through three, are largely adapted and updated from Mara L. Pratt's America's Story for America's Children (Boston: D.C. Heath & Co., 1900). These self-contained books featuring informational texts are ideal for students who finish their classwork early, or for parents to use as supplemental learning material over summer vacation. They are cross-curricular, containing everything from map work, to handwriting practice, to reading comprehension, and more. The historical content covers the first European travels to North America by the Norse, through the American Civil War. What a great way to foster independent reading while laying the groundwork for cultural literacy! These work for both reading recovery and gifted students.